Two weeks ago New York University’s school of medicine announced that all current and future students enrolled in their medical doctorate (MD) program will receive full scholarships. While NYU is not the only medical school to offer full tuition, they are the largest name and first top ten ranked medical school to do so. There have been a number of opinions voiced on what the potential effects of this decision could be, and you may be wondering why an individual primarily concerned with employee benefits is now writing about this as well. Medical students are not spared from the above with the average medical student graduating with between $181k and $206k of debt. These are fairly staggering numbers and regardless of income, will take a very long time to repay. However, being concerned with how this decision will impact employee benefits, I want to look at this from a different perspective. Will this allow these doctors who graduate without debt to offer sustainable pricing for their services? Hopefully, the absence of such a high level of debt allows these physicians to charge less for their services and still earn the same amount. The lack of debt being carried by physicians may even create a competitive pricing environment in the field to drive these costs down. Will the lack of carrying a staggering amount of debt out of their graduation persuade more doctors to take on primary care? We know that there is a drought in primary care and many are looking to fill the gap with Physician Assistants and Nurse Practitioners, but maybe the lack of debt will help more physicians to go into primary care. Currently there is a stigma surrounding primary care due to the low reimbursement and earnings potential when compared to specialist care. There are many directions that this decision by NYU can go, whether it’s the above or simply getting their medical school competitors to follow suit in order to compete for the best talent remains to be seen. Whatever the second and third order effects of this decision may be, they will hopefully be quite positive for the medical students, the medical school and their future patients. 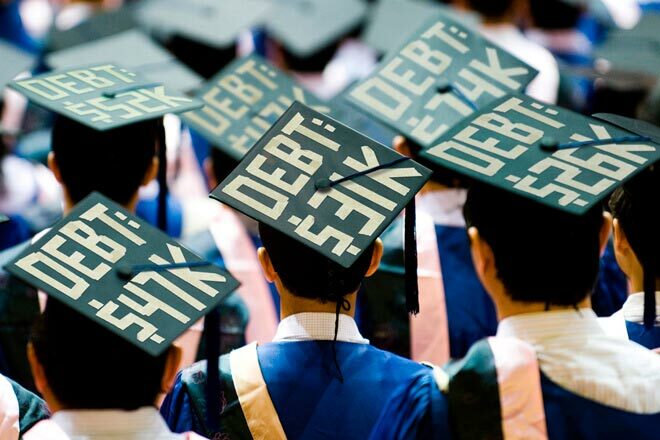 The statistics used in this post are pulled from the Common Bond presentation “Conquering Student Debt: Promoting Financial Wellness”, which is based on data from Brad Hershbein of the W.E. Upjohn Institute for Employment Research, U.S. Department of Education, Federal Reserve Bank of NY.